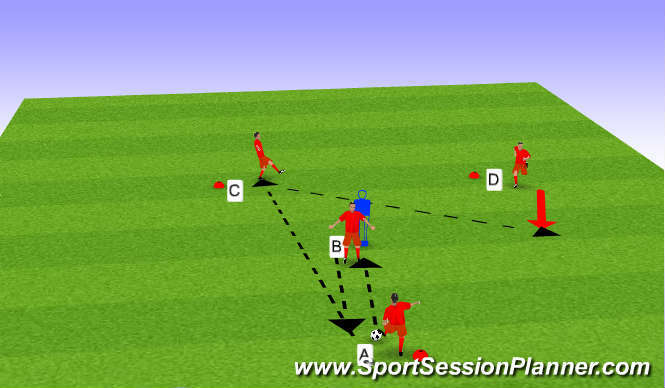 Player A passes to player B and follows his pass,player B who passes to player C and follows his pass. 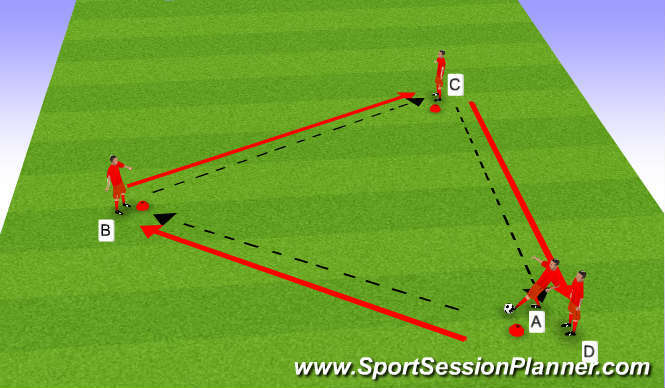 Player C passes to player D.Progressions: Increase speed of practice/ change direction. Player A passes to player B. Player B sets it back to player A who then plays a quick pass into C. C moves to the ball and plays first time into player D&apos;s running path.